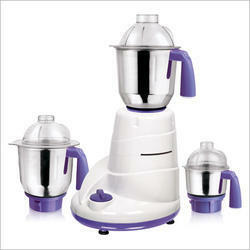 We are a leading Manufacturer of optimum mixer grinder from Mumbai, India. With the aid of our skilled engineers, we are able to manufacture and supply an array of Optimum Mixer Grinder . All our products are precisely engineered employing advanced machines and technologies. Owing to the sharp blades and efficient performance, our products are extensively demanded by various food & beverage industries. Further, customers can avail these products from us at nominal rates.